N 13° 58' 59" and W -16° 16' 0"
Passi in Fatick with it's 6,367 inhabitants is located in Senegal about 93 mi (or 149 km) south-east of Dakar, the country's capital. Local time in Passi is now 11:25 PM (Monday). The local timezone is named Africa / Dakar with an UTC offset of zero hours. We know of 8 airports in the wider vicinity of Passi, of which one is a larger airport. 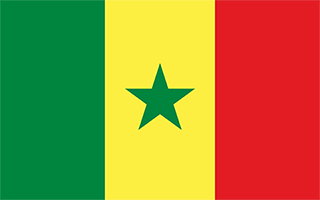 The closest airport in Senegal is Kaolack Airport in a distance of 18 mi (or 30 km), North-East. Besides the airports, there are other travel options available (check left side). There are several Unesco world heritage sites nearby. The closest heritage site in Senegal is Saloum Delta in a distance of 52 mi (or 84 km), East. Depending on your travel schedule, you might want to pay a visit to some of the following locations: Kaolack, Fatick, Kerewan, Banjul and Diourbel. To further explore this place, just scroll down and browse the available info. Let's start with some photos from the area. Wioska w Senegalu Ludzie w Senegalu http://www.travel-foto.com http://www.danielszysz.pl. Sokone is a town in the Fatick Region of central Senegal. Sokone is a tranquil town on the Southeastern Sine-Saloum Delta amid the mangroves. It is located on the road from Kaolack to Banjul, 50km south of Kaolack and 66km north of Banjul. During the colonial period, the town was a peanut port and the old warehouses can still be seen around town along with a large number of peanut fields in the surrounding country side. Located at 13.8833, -16.3667 (Lat. / Lng. ), about 10 miles away. These are some bigger and more relevant cities in the wider vivinity of Passi.